Are you looking to bring a touch of your equestrian hobby into your house? 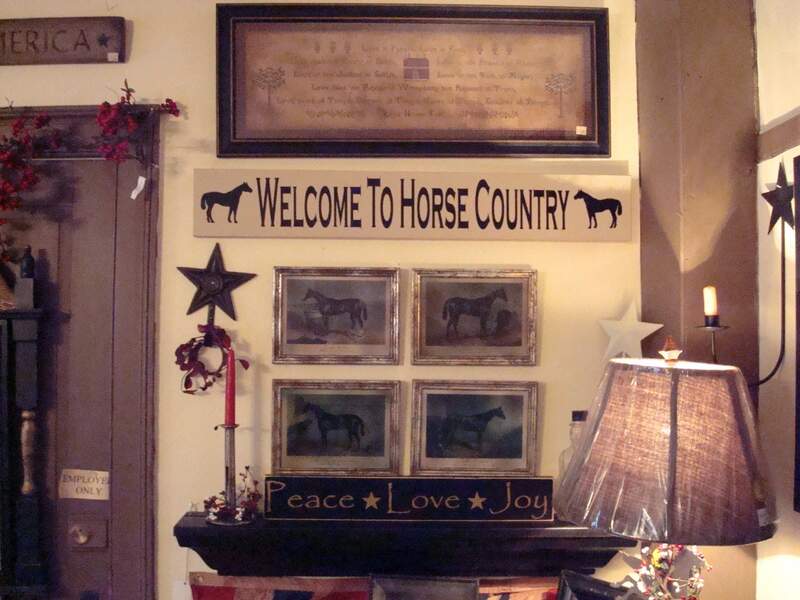 There are many creative ways to incorporate equine décor into your personal decorating style. At first glance you wouldn't think that barn doors could be worked into your house décor, but think again – a set of rustic looking barn doors hung against a large empty wall can bring character into any room. Again, wood fencing might not immediately seem to be a fit for your house, but you can incorporate it in a number of different ways. Wood fencing and boards, when properly sanded and inspected for any stray nails, can make a unique handrail. Large board fencing or barn timber can be mounted on your wall to create a mantle. An old board, with the help of a few supports, can also be used to create a shelf. If you don't want to display horse show ribbons in your home in a traditional manner, then sew them into a ribbon quilt and use it to decorate an empty wall. You can also position particularly special or significant ribbons with a framed photo of your horse, or create a shadowbox of special mementos for a personal touch. Old jointed bits can make great curtain holders; wrap them around your curtains and secure them with a ribbon. The household uses for horseshoes are countless. If you're able to weld, weld two shoes together at the toe to make bookends, or use a stack of horseshoes as a bookend. Horseshoes which are heated and bent outward at the heels can be fastened to a board to make a set of coat hooks. Shoes can also be nailed to shelves to give them an equestrian touch. Decorated (beaded or jeweled) horseshoes can make great wall decorations, and don't forget to put a horseshoe (with the heels pointed upward to keep in the luck!) above the entranceway to your home. Get creative; old equipment doesn't have to stay in the barn. Bring it home and put it to good use. « Are You Ready to Purchase a Barn?